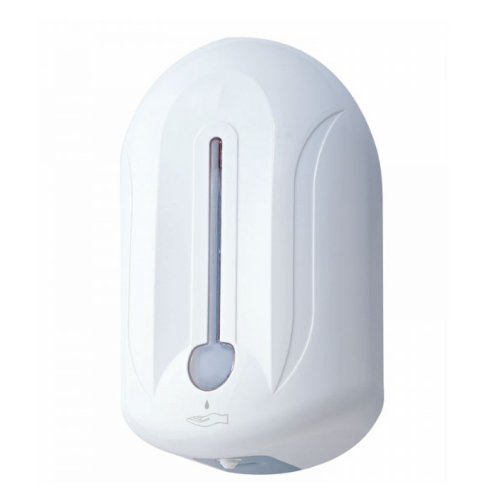 Automatic Soap Dispenser can be also used for other liquids such as shampoo and hand lotions. Easy to use, this is designed based on a total hygienic concept of hand free dispensing of soap. This is powered by a battery and automatically dispenses the soap on sensing the hands from a distance. We "MK Sales" established in the year 2001 are engaged in trading, distributing, supplying and service provider a wide assortment of Hygiene and Cleanliness Maintenance Equipment. These products are widely acceptable for their efficiency, easy usage, long lasting, superior performance and operational safety qualities. Further, we also provide Sales & Services that are reliability, timely execution and are cost-effective. Our products are sourced from the credible and reliable vendors of the market after assuring the quality of the products. We have employed a team of diligent and qualified professionals who assist us in performing our business operation smoothly. This spacious warehouse also assists us in meeting the bulk and urgent requirements of our patrons. In addition, with the support of our rich vendor base, we are able to provide the clients with customised products that are manufactured as per their details. Our products are thoroughly checked by our auditors ensuring their quality, styles and sizes before the final delivery. We have been able to make us a trusted name amongst our clients, whose products are known for durability, superior performance and low power consumption.